Pretoria — South Africa will complete the process of migrating from analogue to digital television by December 2013, Communications Minister Radhakrishna Padayachie announced recently. The analogue switch off date was originally set for November 2011 but has since been changed to December 2013 by Cabinet. The minister also revealed South Africa would adopt the DVB-T2 standard for the process of digital migration. He said South Africa’s December 2013 deadline for switching off the analogue signal was in keeping with a global decision to switch off the signal by 2015. 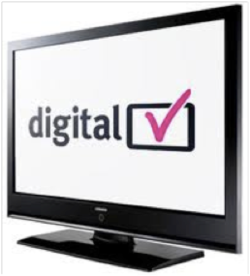 After the December 2013 deadline, existing analogue TVs will not be able to transmit images but viewers who have digital TVs would not experience any problems. Once the analogue signal has been switched off, those with analogue TVs will need a Set-Top-Box (STB). “This little box…will receive the digital signal, convert it to analogue and then take it back to the analogue TV so that the images can be broadcasted,” the minister explained. Government will subsidise STBs but only for the “poorest of the poor”. Those who fell above a certain income band will be expected to buy them. Padayachie would not speculate how much the STB would cost, saying it would depend on the capabilities the box can deliver. He added that there were “export opportunities” with regards to STB as other African countries, who were busy with digital migration, could look to South Africa as the manufacturing base of STB. The digital migration process could serve as a catalyst to revitalise the South African electronics manufacturing industry, Padayachie said. One advantage of the switch from analogue to digital was that it would result in “crisper, clearer” images for TV viewers. “Perhaps the biggest dividend out of the whole thing is that it will start liberating spectrum currently being used in the broadcasting of signal…This opens up the opportunity to have more channels,” Padayachie added. DVB-T2 had the capability to give viewers access to 14 channels. Not only would the increase in the channels give viewers a wider range to choose from, but it would also stimulate the production and creative industries, the minister noted.